With so much uncertainty still surrounding the global economy, more and more people are investing in gold to preserve their wealth for the future. If you’re thinking about investing in precious metals, it’s important to understand all your options. As a prospective buyer, you’ll want to make sure that your investments are aligned with your individual needs and goals. By doing a little research, and seeking the help of a precious metals specialist, you can be confident in each gold purchase you make. Below, we provide a quick overview of 3 popular options as a starting point to buying gold. Depending on your situation, you may find that diversifying your portfolio with all three options could provide the greatest protection of your savings and potential growth. Once you’ve learned more about your options, your gold advisor will be happy to help you determine which precious metal investments are right for you. A gold-backed IRA is essentially the same as a standard individual retirement account, except that you’re investing in gold, as opposed to other assets, such as stocks. Those who already have an existing, eligible 401(k) with a previous employer, or an IRA, can convert it into a gold IRA. Why buy gold for retirement? Just look at the volatility of the stock market over the last 15 years, and you can see the risks clearly. Significant market decline can happen at any time. And in times of major economic crisis, a huge chunk of your retirement account can be wiped out in a short period of time. This was the case during the most recent U.S. recession, when many soon-to-be retirees had to postpone retirement and continue working. A precious metal IRA gives you safety, peace of mind, and also the tax benefits that come with a government-approved retirement account. If you’re planning for your future, this could be a great investment strategy for you. Those who want physical possession of their gold may find several advantages in investing in gold bullion bars and coins. The value of gold bullion is based mostly on its gold content and weight. It’s an extremely liquid asset, which you can choose to store safely in your own home or in an insured, non-segregated depository. An example of a gold bullion coin is the American Gold Eagle, which was first released in 1986 by the U.S. mint with a face value of $50. Weighing in at 1 oz. of gold, the value of this coin was more than $1,600 for most of 2012. As a real, tangible, liquid asset, gold bullion makes sense for many investors who are looking to protect their worth from the declining dollar and preserve their wealth for the future. Numismatic coins are another great option for those who are looking for liquid assets with maximum growth potential. 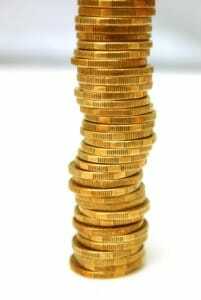 Unlike gold bullion, numismatic coins get their value from several factors in addition to their precious metals content. The mint date, rarity and condition of a numismatic gold coin can make it extremely valuable over time. Thus, investing in gold numismatic coins provides a great option for protecting your savings from an uncertain global economy while also allowing for growth. Numismatic coins were minted prior to 1933 and are certified authentic by the Professional Coin Grading Service (PCGS) or the Numismatic Guaranty Corporation (NGC). 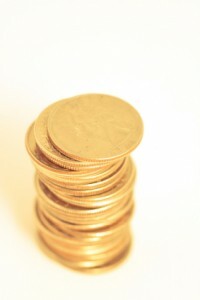 Like bullion, the coins can be stored at home or in an insured depository account. Rated A+ by the Better Business Bureau, Birch Gold Group can guide you through each step of the gold-buying process. We’re happy to answer your questions and educate you on the best investment options for your goals. Simply fill out the form on this page for more information, or call us at (800)355-2116 to speak with one of our knowledgeable advisors.